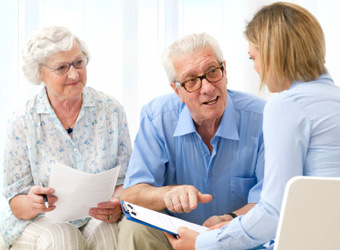 At Retirement Solutions of America we have a very popular funeral plan called the Freedom of Choice Plan. Here’s how our Freedom of Choice plan works. Bob and Mary buy a Freedom of Choice plan and make their first month’s payment. Let’s say Bob passes away the next month. Guess what... Mary and kids owe nothing more. The family has one payment into the plan and Bob’s final expenses are paid. Bob and Mary maybe retired for 30 or more years. During their many years of retirement let’s say they move to another state or even another country and Mary passes on. Bob and the kids can use their Freedom of Choice plan at any funeral home from here to Paris – it is international and transferable... The key here is that the family controls all of the money, not the funeral home. A Freedom of Choice plan is very affordable and very easy to qualify for. There are only a few health questions, No exams. Please note... having a Freedom of Choice plan provides valuable peace of mind for you and your family.